Former Chelsea FC Manager Avram Grant Visits Serenity! 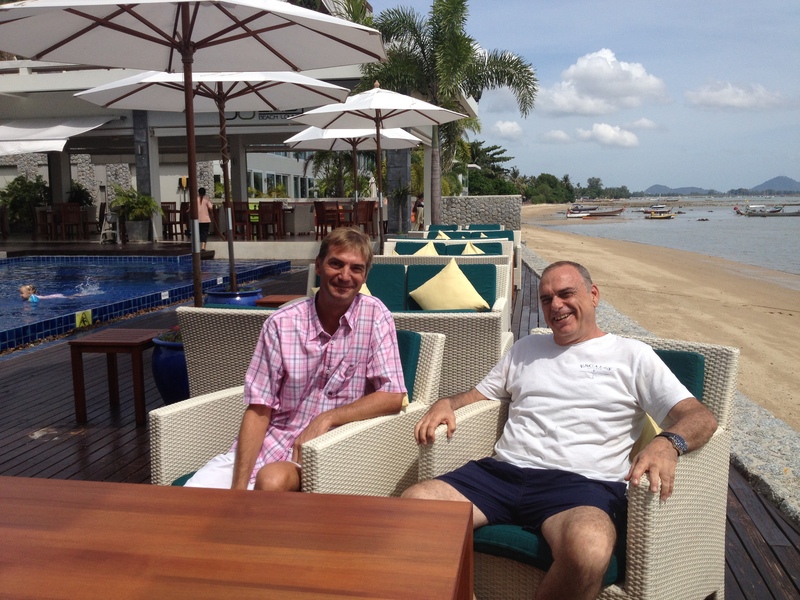 Avram Grant, former Chelsea FC, West Ham FC and Portsmouth FC Football Manager took time out of his busy schedule to relax at Serenity Phuket this week, staying in one of our unique Beach Front Pool Villa Residences. Avram, who recently ended a spell as Manager of Partizan Belgrade, chose to come to Phuket for a holiday break, but still found the time to meet with our GM, Urs, to the delight of the football fans within the Serenity Team! Avram is perhaps most famous for his spell as Chelsea manager in 2007 following the departure of Jose Mourinho, where he led Chelsea into the Champions league final, League Cup Final and contested the Barclays Premier League Title all the way to the final day. Enjoying your stay at Serenity? Got something interesting to tell future guests? Immortalize your Serenity holiday Experience and make your friends jealous with the Serenity Movie Pad. Check out our iPad desk at the East 88 Beach Lounge and make your video and create your holiday memory. Videos will be posted weekly on Facebook & YouTube, with prizes for the best movies, including vouchers for 3-night stays in one of our Serenity Suites and cool Serenity Gift Sets. 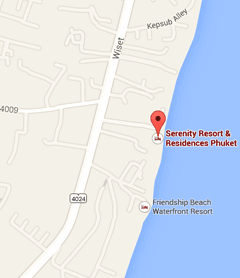 Serenity does however, reserve the right to remove any inappropriate videos without prior notice and the copyright remains with Serenity Resort and Residences Phuket.